I love Summer Reading List time at NoaF because my life is generally an overwhelming, downhill-rolling snowball of demands on my time/mental capacity, so I sometimes find myself suddenly realizing in horror that I haven't actually held a book in my hands for weeks at a time. But our Summer Reading Lists give me a chance to blow the dust off of my TBR pile and actually make some kind of plan-of-attack. These are the books I'll be laying siege to over the next three months. 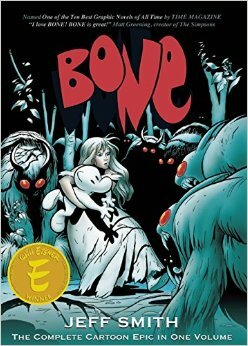 At WonderCon this year, I told my daughter she could pick out a book at the Comic Book Legal Defense Fund table, and with wide eyes she selected the 1300-plus page complete edition of Bone. She's a couple of hundred of pages in, but I'm planning on stealing it from her. Or at least installing my own bookmark that I can march forward after she's in bed for the night. This all-ages comic is truly epic in scope, unfolding the story of three Bone-creatures who get kicked out of Boneville and wind up unwittingly sparking a battle of good and evil between the forces of The Spirit of the Locust, great dragons whom very few people still believe in, bizarre "rat creatures" who inhabit the forest, and the disbanded kingdom of humans who are caught in between. The black-and-white illustrations (just black and white, no grey, even) owe a debt to Walt Kelley's Pogo comics, and are tremendously engaging. It's like Lord of the Rings, but funny. 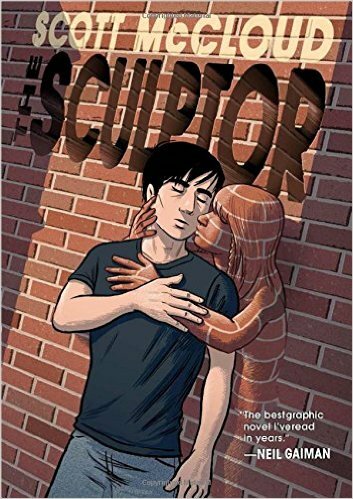 Author of the seminal Understanding Comics, Scott McCloud's new graphic novel received all kinds of raves upon its release last year. It's a story that takes the idea of pouring your life into your art in a very literal direction, and I'm very much looking forward to reading something that I think will have a lot of interesting things to say about the emotional process of creativity. The premise of asking the question "What art would you make if you knew you had less than a year to live?" is a profound one, and one that, as a songwriter particularly, resonates very deeply with me. 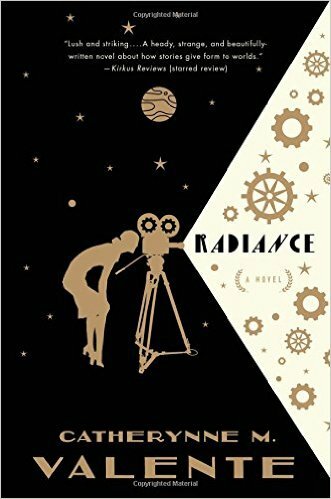 I picked this one up after reading the glowing review that appeared here on Nerds of a Feather because the prospect of exploring the solar system as depicted in early silent films sounded amazing and fun. But I have to admit, I've started this one already and I'm not sold. 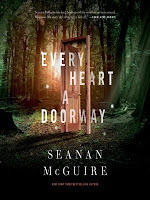 It's not particularly fun and the narrative device of different characters essentially monologing each chapter has me pretty put-off by the unmotivated infodumping. May have to put this aside in favor of something else on this list and circle back. I love me some Shirley Jackson. I was browsing aimlessly in my local used book shop and found an ancient paperback of this book lying sideways on the wrong shelf, so I counted it a happy accident and snapped it up. 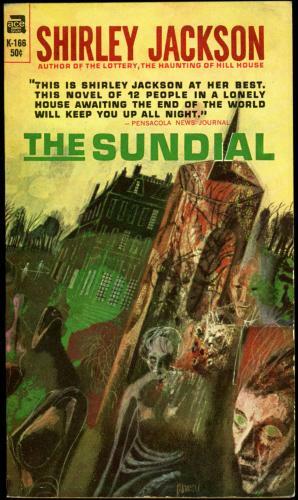 The back matter suggests that a bizarre family gathered together in their large home receives a vision of the apocalypse and has to decide what to do about it. I can pretty much guarantee that the decisions they make won't be what you'd consider solid, healthy, well-reasoned ones. Tia recommended revisiting Harry Potter via audiobook, and I'm attempting something...similar? 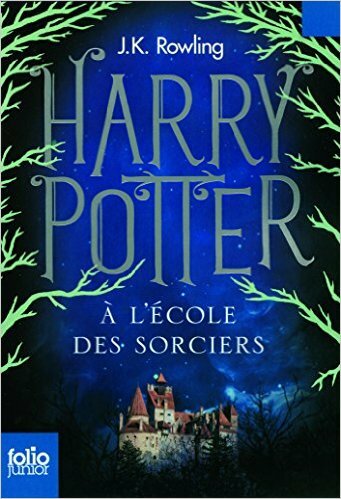 This week I finished the entire French course in Duolingo, and in my hubris, I ordered the first Harry Potter book in French. They still talk too fast for me in the French movies I have on DVD, and I needed to do something to expand my skills and keep learning, so I thought this might be a good way. I have Google Translate on my phone for words I don't know, and an optimistic outlook that may or may not disapparate once I actually attempt this feat. I'm about thirty years past when they say the best time to learn a new language is, so I'm keeping my fingers crossed. Posted by Vance K -- Cult film reviewer and co-editor of Nerds of a Feather, Flock Together since 2012. Studier of foreign languages on iPhone apps since 2014.